Karibea hotels are ideal for a comfortable business trip in the heart of the Caribbean. Practicality, simplicity, careful tables and team efficiency are the key words of our establishments, which will make you feel good when you are on the move. Karibea contributes to the well-being of business travelers: spacious and modular rooms suitable for work and relaxation, refined dining, meeting rooms, business center, attentive staff, your professional stay will be more pleasant. Multiple services at your disposal : business centers, meeting and seminar rooms, free and unlimited WIFI in all hotels, … Our staff is at your service for all your requests. 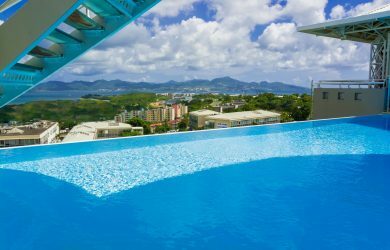 In Fort-de-France, Martinique, our business establishments, the 3-star Karibea Valmeniere Hotel and the 3 * Karibea Squash Hotel, enjoy a privileged location in the immediate vicinity of the island’s business district. Not far from the airport, the Karibea Valmeniere Hotel offers 120 bright and modern rooms and suites, the Karibea Squash Hotel, labeled “Quality Tourism”, will delight you with its decoration and its 104 elegantly furnished rooms. 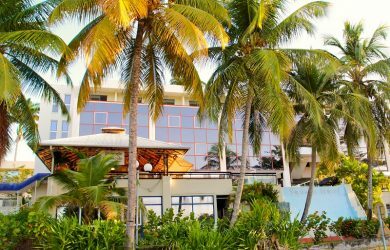 In Guadeloupe, in Gosier, await you the Karibea Beach Hotel and its three establishments: Hotel Clipper, Hotel Salako and Residence Le Prao. 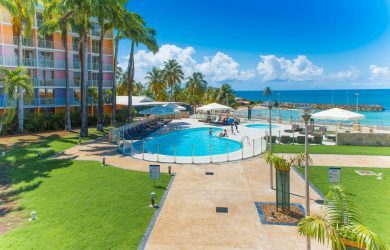 3 * hotel complex spread over a vast domain with paths dotted with bright flowers, it is the holiday resort of your professional stays in Guadeloupe. 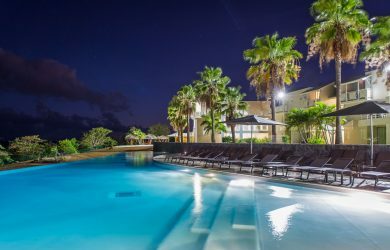 Perfectly suited to your professional stopovers, our business hotels are only a few minutes away from Lamentin airport in Fort-de-France and Pole Caraïbes airport in Pointe-à-Pitre. With more than 2500m² of reception rooms, Karibea hotels offer you a welcome and dedicated services to make your event in Martinique or Guadeloupe a special moment.